Long Term Side Effects Warfarin? ...and how to avoid them! Alzheimers and dementia are higher in users of Coumadin long term. Especially if warfarin is used for heart irregularities, or AFIB. Doctors usually tell people that taking warfarin can cause bleeding. But they may not tell you that brain bleeding strokes are among warfarin side effects! Warfarin is used to prevent strokes due to clotting. Such strokes, (ischemic) are much more common. Instead, however, your risk of getting a bleeding stroke is increased! This type of brain bleed stroke is less common but these are also more deadly! And more likely the older you get! Warfarin suppresses your body's normal ability to make blood clots. This is good, to prevent an unwanted blood clot on lung or legs -- or blood clots in brain -- which can cause a heart attack or stroke. But warfarin can also prevent NORMAL clotting needed to heal a wound or injury! Normal clotting is needed for healing a wound or injury - either internal or external. So if a weak blood vessel in the brain leaks or bursts it is more likely to cause a stroke. How? If blood leaks out it can cause pressure in or around the brain, depriving it of oxygen. This causes brain damage and a stroke, or bleeding stroke because the brain cannot work normally anymore. Bleeding strokes are much less common than strokes from blockages, but these are more dangerous and more likely to be fatal! The problem is that as you get older, the risk of getting one of these bleeding strokes increases dramatically! Following is research for the main long term side effects of blood thinners causing bleeding strokes and hardening of the arteries. But the list of unwanted warfarin side effects is growing! The risk is diabetes is higher with the use of these blood clot meds. Also, an increased risk of Alzheimers and dementia is now among the side effects of blood thinners -- especially warfarin side effects. There has been a skyrocketing number of strokes due to bleeding in the brain in the U.S. Yes, warfarin helps to prevent stokes due to blood clots, especially for people with heart irregularities, or AFIB, but appears that this is not the end of the story. The number of brain strokes jumped five-fold in the 11 years between 1988 and 1999, when the use of warfarin quadrupled in the USA. For people who were over the age of 80, this rate for getting a brain stroke increased to an astounding eighteen-fold increase! And also, these people were more likely to die with this type of stroke if they were on warfarin. The researchers found that bleeding into the brain while taking warfarin was more likely to result in death than for people with a similar bleeding stroke who were NOT taking warfarin. Also, there is a high rate of both death and disability for brain strokes caused by warfarin. These are offically known as "warfarin-induced intracranial hemorrhages." Which warfarin long term side effects will your doctor not likely know about? German researchers found out in 2005 that long term use of Coumadin produced increased calcium in the aortic valve and coronary arteries when compared to patients not taking Coumadin. 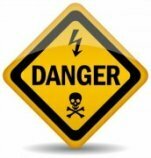 Dangerous Warfarin Side Effects, WHAT IS THE PROBLEM? “Every patient on Coumadin is increasing the calcium content of all vascular tissues. 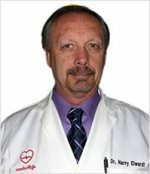 The calcium content of arteries is now proven to be more dangerous than diabetes, elevated cholesterol or hypertension -- we must now try to educate patients," says Dr. Garry Gordon, who wrote "The Omega - Miracle." The new kid on the block, Vitamin K2, say researchers, plays an important role in PREVENTING calcium from building up in the arteries and even dissolving plaques! New research is showing vitamin K2 to be one of the most important nutrients against heart disease. Why? How to Avoid Warfarin Side Effects Long Term? If you are taking the blood thinner medication Coumadin, you need careful monitoring. If your INR is 3 or over you are at very high risk for getting bleeding stroke that is fatal. The researchers who sounded the alarm about the increase of bleeding stokes due to warfarin side effects, found that the danger was less for people with an INR of less than three. An INR between 2 and 3 was safer. They suggested that anyone with an INR of more than 3 get monitored very carefully, because at 3 your blood takes a long time to clot. INR, or international normalized ratio measures how quickly your blood clots. Normal clotting without warfarin is 1, so that at 3 your blood clots much more slowly -- the higher the INR the longer it takes for your blood to clot. You will want to know the signs of a mini stroke, and be prepared to go to the emergency. No More Side Effects of Blood Thinners - Naturally? How do you weigh the benefits and the dangers of warfarin? Strokes due to bleeding in the brain are increasing as a leading cause of death for strokes world wide. By comparison, there are fewer fatal strokes caused by blood clots. In total, bleeding stokes are more dangerous! 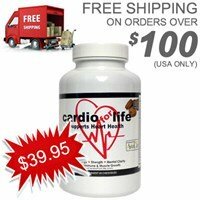 Why add natural heart supplements? Warfarin has been used since the 1950's and 60's before the FDA required rigorous testing. Since then, there have been discoveries of safe Coumadin alternatives that can stop heart disease. U.S. scientists won the Nobel Prize for the role of Nitric Oxide in blood vessel healing an preventing blood clots. They also found that l-arginine stimulates the body's own production of Nitric Oxide. But there was a catch! Arginine on its own is not safe. It needs to be balanced with citrulline and antioxidants. Dr Harry worked with the Nobel Prize winning doctor to develop this POWERFUL formula against blood clots and strokes. Safe to take with or without blood clot meds! 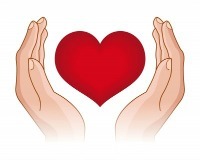 See VIDEO & ARTICLES How to prevent and dissolve blood clots SAFELY and naturally. 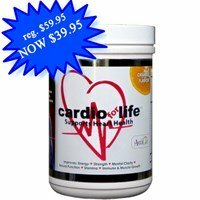 Find out about Dr. Harry's ENHANCED cardio formula to stop heart disease and stroke as a Coumadin alternative for dissolving blood CLOTS! Can You Stop Taking Warfarin? You can decrease your dosage and gradually stop using it by increasing natural blood thinner foods and natural blood thinners supplements, while your doctor provides feedback. Stopping cold turkey is never a good idea because there is some evidence that Coumadin can have a “rebound” effect if you stop taking it suddenly. A "rebound" INCREASES your risk for blood clots for a month or so AFTER YOU STOP suddenly. There are many foods that act as natural blood thinners and many supplements that improve circulation and dissolve EXISTING blood clots, which warfarin does NOT do. Because of Coumadin food interactions people often think they should not eat greens – the very foods needed for staying healthy. But that’s not so. Why? 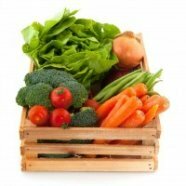 A proper diet for taking Coumadin simply needs a constant amount of greens and vegetable high in vitamin K. Why? Your green veggies -- high in vitamin K -- need to be CONSISTENT and kept at the same level, so as not to cause problems with your coumadin dosage! The vitamin K in your diet simply needs to be kept at a constant level. If greens go up or down suddenly you risk the dosage not being right -- a Coumadin overdose is relatively easy because Coumadin has a narrow "window" where both over or under cause problems. But because greens like lettuce, spinach, and other green leafy vegetables keep you healthy -- especially your arteries and your eyes -- you will want to find out more about the levels of Vitamin k in foods from your pharmacist. Warfarin Side Effects: Coumadin and Alcohol? To get to know the MANY Coumadin drug interactions, e.g. Coumadin and alcohol, Coumadin food interactions -- you'll want your pharmacist’s long list of do’s and don'ts for warfarin side effects. A Coumadin alcohol reaction is typically a worry, but studies don't suggest a great concern. So get moderate exercise and add healthy foods and natural supplements to improve your heart health and prevent strokes. How can Warfarin "cause" a stroke? Let us explain the puzzle of Warfarin. How can something you are taking to PREVENT a stroke, cause one? You are taking Coumadin to PREVENT a stroke, yes? So, how can bleeding strokes be among the side effects of warfarin? This means that it is easy to take either too much or too little of it, with the “middle” being the “safe” range. That is why your doctor regularly takes your INR, and recommends a warfarin diet – a warfarin vitamin k diet – to keep your vitamin K1, the “clotting vitamin” in a SAFE RANGE. Getting your Coumadin dosage right is very tricky, but with a warfarin diet your risk of a Coumadin overdose causing bleeding, is less likely. Researchers also found that when people take Coumadin over an extended period of time, there’s MORE of a build-up of calcium in their arteries than in people who are NOT taking Coumadin to prevent blood clots. A build-up of calcium in your arteries is a leading coronary heart disease, or hardening of the arteries! This build-up of calcium causes a rigidity in, and a narrowing of your blood vessels, and this is likely to cause an unwanted event such as a heart attack or a stroke. How? Calcified arteries are more likely to get blocked, and this can stop the flow of blood and oxygen to the heart or the brain, causing a heart attack or a stroke. My father is a case in point. Healthy, at the age of 83, he slipped and fell one day, and as a result never walked well again. Why? Spinal cord bleeding caused damage -- the side effect of Coumadin -- that he was taking! As a result of these unexpected warfarin side effects, he never fully recovered. My father, in his early eighties, faithfully took his prescriptions and followed his doctor’s orders to the letter. While we were on a family road trip with him, he tripped on a rise in the floor at our B & B, and he fell. He was not badly hurt, but he began to feel progressively worse. We took him to two different hospitals where he was cleared for fractures. Yet his condition worsened, so we took him to a bigger hospital. The emergency doctor there took one look at the list of meds he was taking and said “we will have to operate within the next few days, or he will never walk again.” Why? There was bleeding in his neck, or spinal cord, causing serious damage. The doctor recognized bleeding as one of the warfarin side effects of Coumadin. It was difficult to watch my father's abilities deteriorate, and to discover first hand these warfarin side effects -- of his Coumadin medication. Sensitivity Test for Warfarin Side Effects? If you are concerned about the long term effects of Warfarin, you can talk to your doctor about taking a a warfarin sensitivity test. About a third of the people who take warfarin are at a higher risk of bleeding because their genetic makeup is more sensitive to warfarin. If you're worried that you might be more sensitive to warfarin because a family member experienced side effects of blood thinners, talk to your doctor about taking a warfarin sensitivity test. The test can tell if your genetics might increase your risk of bleeding. This can prevent your getting a Coumadin overdose, improve your chances of your doctor setting the right Coumadin dosage, and less worry about long term side effects warfarin for YOU! We hope our postings about warfarin side effects long term are helpful. Hopefully you'll find a Coumadin alternative that suits your needs. Adding home remedies for blood clots may have more health benefits than you think! There are Coumadin alternatives based on improving circulation, healing blood vessels and DISSOLVING existing blood clots! With natural heart supplements you would no longer need a restrictive a warfarin diet -- a warfarin vitamin k diet, or a proper diet for taking coumadin. Be assured that science can help to make blood thinner medications safe. Taking proven supplements as home remedies for blood clots based on science are now possible! Safe, natural blood thinners supplements for less worry about warfarin interactions. Research about dangerous warfarin side effects long term: calcification of the arteries, bleeding strokes, diabetes, Alzheimers and dementia. 1. The incidence of anticoagulant-associated intracerebral hemorrhage quintupled in our population during the 1990s. The majority of this change can be explained by increasing warfarin use. 3. 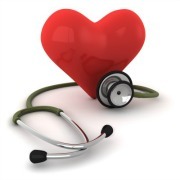 Heart health benefits of vitamin k2 for preventing hardening of the arteries.